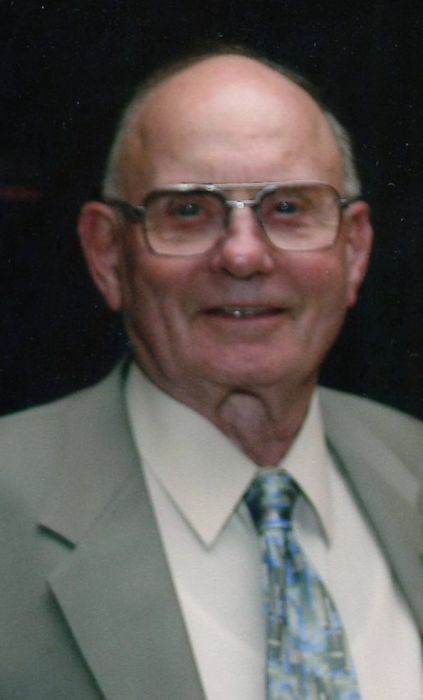 WATERLOO — Gerald Allen “Joe” Grill, 96, of Waterloo, passed away Saturday, August 4, 2018, at The Laurels of DeKalb Nursing Home in Butler. Joe was born June 25, 1922, in Auburn. He was preceded in death by his father, Carl Grill, and mother and stepfather, Cora Alice (Radabaugh) and Avery Lemmon. He was a 1941 graduate of Ashley High School. After graduation, he went on to serve in the United States Army Air Corps during World War II where he served as a gunner and instructor on the B-17s. Joe married Joan Roberta Forrest on Oct. 12, 1943, in Kendallville, and she passed away Aug. 11, 2017. Upon his return from the military, he farmed for several years and owned and operated with his wife, Joan, a laundromat on Wells Street in Fort Wayne. He retired from International Harvester in Fort Wayne after 30 years of service. He was a member and served as a deacon, elder, and Sunday school teacher at the Cedar Lake Church of Christ in rural Waterloo. He was also a member of the Warbirds of the Hoosier Air Museum in rural Auburn. Surviving are three sons, Steve (Bobbi) Grill of Hamilton, Jon (Debra) Grill of Duck Key, Florida, and Tom (Jamie Lausier) Grill of Oxford, Connecticut; son-in-law Jim (Dianne) Meyer; seven grandchildren, Amy Grill, Ann (Josh) Miller, Dan (Katie) Grill, Emily (Josh) Surowitz, Eric (Michelle) Grill, Paul Cook and Will (Shacina) Cook; 18 great-grandchildren; and a sister-in-law, Doris Grill of Angola. 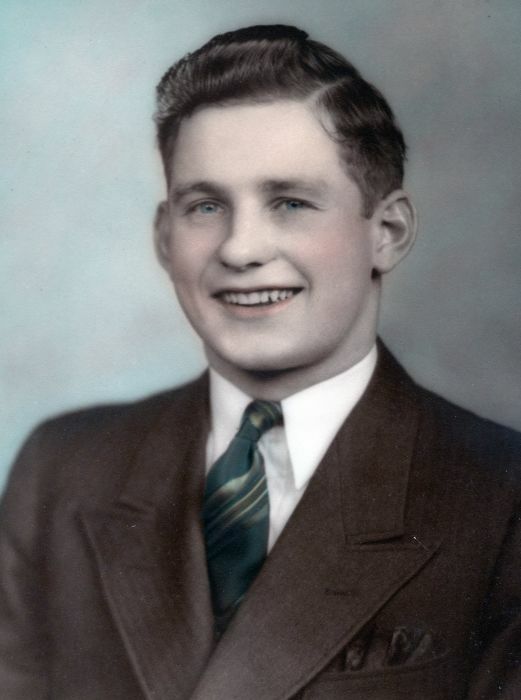 He was preceded in death by his parents; wife; daughter Rebecca Cook-Meyer; son-in-law Timothy Cook; grandson Nathan Grill; three brothers, Herschel Grill, Arden Grill and John Grill; a sister, Charlotte Fee; step siblings, Reba Crowl, Joyce Sutton, Kathleen Fee and Riley Lemmon and 2 couples that raised him during his teen years who were like family, Marion and Frances Clark and Wiley and Dorothy Phillips. Services will be 11 a.m. Wednesday at Cedar Lake Church of Christ, 1492 C.R. 27, Waterloo, with visitation from 10–11 a.m. Wednesday prior to the service at the church. Jonathon Pennington will be officiating. Burial will take place in Waterloo Cemetery. Visitation will also be from 4–8 p.m. Tuesday at Feller and Clark Funeral Home, 875 S. Wayne St., Waterloo. Memorials may be directed to the Cedar Lake Church of Christ or Hoosier Air Museum.